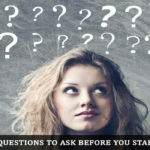 BloggingTips.Guru Blogging Blog Business Card: Get Social and Get Known! Blog Business Card: Get Social and Get Known! Your blog business card is very important if you want to get social and get known! A business card is essential for any professional blogger: your income depends on traffic, and the better known you are the more traffic you get. It’s simple math! To make it as a professional blogger you must get social and get known – a business card is a tool to achieving the getting known part. To get known obviously! But how does it work? What part will a blog business card play in improving your income – because that’s what it is ultimately all about? If you want to get social and build relationships with other bloggers and visitors to your blog, you must build relationships. Whether these are the form of a list of subscribers to your blog or other bloggers is irrelevant. If you have a blog business card you can hand it over, and guess what? They will likely give you their card. In any business, the exchanging of business cards is almost a tradition. If you don’t have a card you are not important enough to deal with! End of that relationship before it even got started! If you ever attend a conference, you must go loaded with your business cards. For the reasons explained above, forget about impressing people and building relationships if you cannot hand over your car when offered one yourself. The easiest way to meet a lot of people in one go is by attending a conference – either on the topic of professional blogging in general or in your particular niche. If you go loaded with blogging business cards, then you will never be caught out if offered a card by a good contact. You will be equipped to meet lots of people and build lots of relationships. You will also get known! A blog business card displays your professionalism. It indicates that you are a player worth listening to. Once they get back home they will check out their cards and maybe visit each blog. Having other professional bloggers subscribe to your blog is well worth the cost of a few business cards. B2B relationships are extremely valuable and are very difficult to establish – almost impossible without a business card. 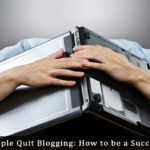 The most successful blogs have memorable names. A business card can help you to brand your blog. In many cases, it is the blog name that people remember rather than your own name. Even better is for the two to be associated. When you think of Matt Cutts you think of Google, and vice versa because of Matt Cutts’ own blog. 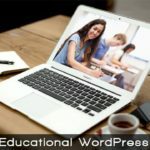 It is important that you and your blog are well known throughout the professional blogging fraternity, and also throughout your niche. Sure, your blog itself is extremely important and must provide very useful and genuine information. However, its branding is equally important. Macdonald’s is more famous than Ray Kroc! By including your blog name and web address, your own name and all your social contact details (cell, email, Twitter & Facebook) you will get your name associated with your blog and vice versa. Make sure your face appears on your blog – and appears on your business card. It is one thing to exchange cards with a few dozen people at a conference or exhibition, but quite another trying to place the card with the face. By having your own photograph printed on your business card, you are more likely to be remembered. Even if the likeness is only approximate due to the age of your photo, the recipient of your card will automatically look at your face and compare it to the card. You are then imprinted more solidly in his or her memory. You are more likely to be remembered when delegates get back home and look through all the cards they have collected! They will then check out your blog and connect you with it. If they like it they might even contact you. Had they no idea who you were, then that may not have happened. The photo made all the difference. In addition to your blog name, photo, contact details and social networking details, you should also include your mission statement, if it is a good one, and your USP. Make sure people know what you can do for them. Nobody is going to read your blog posts if they don’t think they will be of interest – particularly other professional bloggers. Your blog business card should be designed to attract both professional bloggers and others interested in your niche. Maybe you can help other professionals with their blogging techniques, and perhaps you can also help beginners build their first website. Your card should make this clear, and the landing page of your blog as given on your card should reflect the card content – including your own photograph. Visitors should see right away they have the right blog site without having to click and hunt around to make sure you are who you say you are. Some professional bloggers design a page for first-time visitors. This provides the focus of the blog and the USP. Sometimes leading first-timers to your last post can be a put-off. That depends on your blog and how it is designed. QR codes are two-dimensional bar codes that you can generate online free and download a supplied digital file for printing or sending to your business card printer. Although you can do this free online, paid services offer more options. A QR code can be scanned by any smartphone equipped the QR app. The code can contain a web URL, a YouTube video, email address and message or any other scannable web address. Some people add a QR code to the back of their business card. Another tip is to use Google Voice on your business card rather than your own cell phone address. This can help prevent spam calls. 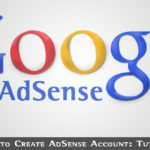 You need a Google account, then go to http://www.google.com/chat/voice/ and you can connect your cell number to your Google Voice account. Call charges are significantly less than using regular phones and are free to phones in the USA from the USA. Another tip is to register with Skype; audio or video calls between Skype users are free worldwide if made via computer. All you need is a microphone, webcam and a free Skype account. Include your Skype address on your card – it can also be used for IM. Use both sides of your card. Most businesses use only one side, but a blog business card can hold much more information, including a photo and a QR code if printed both sides. To summarize, then, it is essential for any professional blogger to have a business card. They should be handed out to other professional bloggers and to those interested in their niche. The card should include a photograph, name of the blog and contact and social networking details. When cards are being exchanged, it is vitally important that you are not empty-handed, but go loaded with cards to impress, get yourself known and promote your brand. Otherwise, without a blog business card, you will not be recognized as a professional. 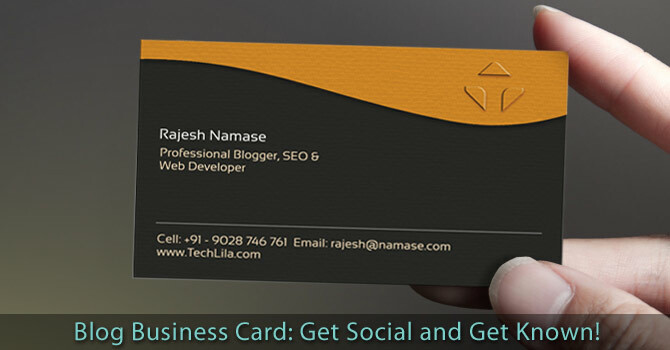 Get social and get known with a well-designed professional business card for your blog.